There’s gold in them ‘thar rocks. Plus cobalt, tin, osmium, molybdenum, platinum and other valuable elements. The only problem is, they’re millions of miles away, embedded in asteroids. But entrepreneurs believe they can one day tap these riches. Planetary Resources, co-founded by X-Prize Foundation sponsor Peter Diamandis and funded by deep-pocketed investors such as senior Google executives and director James Cameron, says the payoff is worth it. “Many of the scarce metals and minerals on Earth are in near-infinite quantities in space,” said Diamandis at an April press conference. 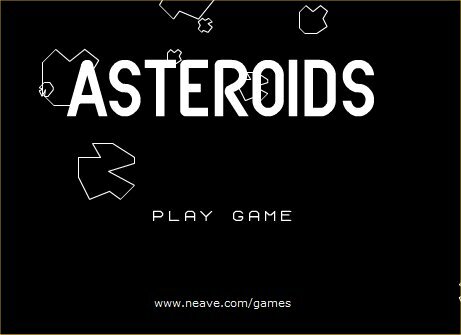 Now Avatar might have made it look sort of easy, apart from those pesky blue aliens, but mining asteroids is a titanic challenge. For starters, dragging a huge rock back to earth might be messy. Remember the extinction of the dinosaurs? A platinum-rich asteroid touted by the group as a possible mining target is about 500 meters across or around 10 times the diameter of an object that crashed into a sparsely-inhabited Siberian forest 104 years ago. The smaller projectile had an impact of around 100 Hiroshima atomic bombs and wrought devastation for hundreds of square miles. Just think of the liability issues! Instead, the plan would be to survey the richest ones and then bring those space rocks to near-earth orbit for mining as part of a space colony. Technology for doing so might exist in a matter of decades. The scientific credentials of leading staffers lend credibility to the effort but, even if the laws of physics allow for it, what about those of economics? People willing to bankroll a space-mining operation could just as well troll for minerals a lot closer to home. Scientists know, for example, that seawater contains gold – about 20 million tons of it according to U.S. government scientists. Multiple schemers and scammers have been tripped up trying to extract this bounty profitably, even at today’s record price of around $1,600 an ounce. Just imagine if they were successful. Well, for starters, the yellow metal would be worth a lot less than the current value if anyone were to crack the problem. All the gold mined from antiquity through today amounts to a little under 160,000 metric tons according to The World Gold Council. At the market price, the gold in seawater would be worth a little over one quadrillion dollars – all the money in the world and then some. Simplistically assuming we each desired the same amount of gold, the price would be just $13 an ounce and we could sprinkle it on our breakfast cereal. So while promoters may be onto something when they say space mining is possible, the huge upfront research and development costs and ensuing price distortions would mean that they wouldn’t recover their investment even if they succeeded. No wonder the smartest rocket scientists all seem to wind up at Goldman Sachs these days. I know, I already write for a living. This entry was posted in Finance, Journalism, Media, science, Stupidity, Uncategorized and tagged asteroids, avatar, gold, james cameron, mining, platinum, space, titanic. Bookmark the permalink.